Bitcoin has long been seen as an asset that rivals gold as a hedge during stock volatility. It tends to zig when the market zags, it’s scarce but in a known quantity, and it’s easy to store, keep track of, and transfer. When the stock market ended its nearly decade-long bull run last month, gold futures climbed by 4% and stocks for gold mining companies surged. However, unlike gold, Bitcoin’s value didn’t counter the stock market. Instead, it closely followed its trajectory – losing 4% of its value during the month. Interestingly, Bitcoin is experiencing one of its least volatile periods in recent history. 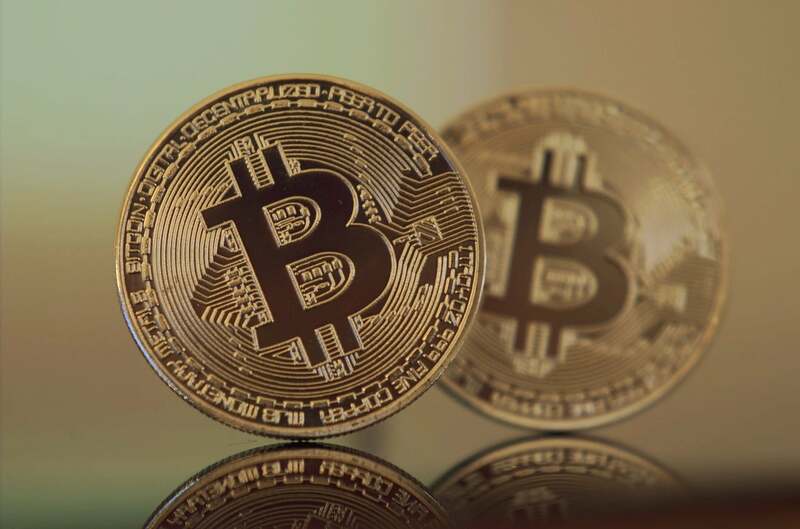 Its value has hovered around $6,500 for most of the year, further distancing itself from other tokens and demonstrating that it is an asset class unto itself. Meanwhile, the appetite for crypto remains strong. Investors desire many of its most lauded features including its usability, security, autonomy. Therefore, it shouldn’t be surprising that a new class of cryptocurrencies, asset-backed tokens, are becoming so popular. Asset-backed tokens derive their value from the price of real-world assets like gold, currency, or real estate, and they serve as a compelling combination of physical commodity and cryptocurrency. As a result, asset-backed tokens are becoming the ultimate safe haven asset. While it’s surprisingly easy to acquire gold, storing it in meaningful quantities or selling it for a profit is incredibly tricky. After all, it’s a dense metal that’s difficult to deal in the digital age. Moreover, the market is clogged by intermediaries who broker the buying and selling of gold for a substantial fee. Taken together, these features don’t make gold a realistic investment for the average person. In contrast, an asset-backed token is as tradeable as a stock or a Bitcoin, while providing investors with access to a commodity that can hedge against volatility in other markets. For novice crypto investors, these asset-backed tokens are an entry point that deals in familiar markets. The average investor might not be familiar enough with Bitcoin to invest in the digital currency, but asset-backed commodities like gold, currency, and real estate are established investment vehicles that are recognisable to the average investor. In other words, gold-backed tokens are a digital expression of gold. They are a modern take on a timeless commodity. Forbes described asset-backed tokens as “the holy grail of cryptocurrencies,” and they are playing an increasingly prominent role in the investment ecosystem. What’s more, they help investors diversify their investments, an essential component of sound investment strategy during turbulent times. For investors already involved in the stock market or other cryptocurrency investments, gold represents a diversifying asset that can balance market volatility in other areas. Since stocks and other crypto assets have shown similar levels of volatility, gold stands out as a safe haven asset that can insulate investors from dramatic price swings. Asset-backed tokens stand apart from other investment opportunities because of their hybrid approach to investing. Not only do users get to access the burgeoning world of cryptocurrencies, but they get to do so with the stability of an established commodity. When those two work in tandem through a verified process of substantiation and transparency, they create the ultimate safe haven investment. As the stock market and other investment vehicles that have soared during this ten-year bull run begin to show signs of fallibility, more investors will look to gold as a reflexive investment, but this time, those gold bars might be tokens. It’s an obvious and modern take on a timeless investment methodology. K.C. Chng, the founder and CEO of Digix. Digix is an asset tokenisation company incorporated in Singapore in 2016, with physical gold on the Ethereum blockchain, DGX, being its first product. It aims to democratise access to gold for the masses. Author: K.C. ChngK.C. Chng, the founder and CEO of Digix. Digix is an asset tokenisation company incorporated in Singapore in 2016, with physical gold on the Ethereum blockchain, DGX, being its first product. It aims to democratise access to gold for the masses.